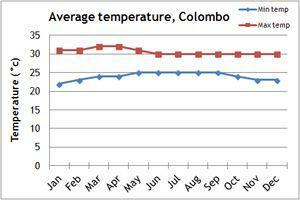 Our climate charts will give you a guide to the weather conditions in Sri Lanka. 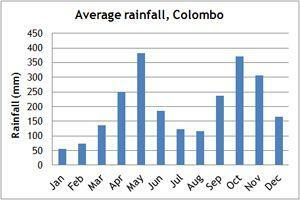 Sri Lanka has a tropical climate, with two monsoons. However, there will usually be good weather somewhere on the coast! 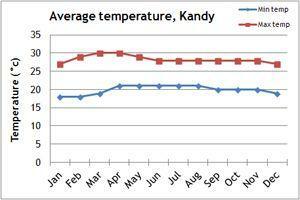 Sri Lanka's location near to the equator means that there is a fairly constant temperature in the high twenties. Humidity is high throughout the island. The Yala monsoon brings rain to the south and west coast and the hill country between May and August. 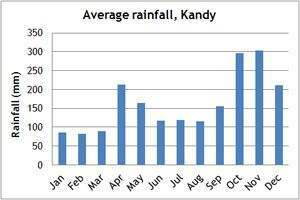 The Mala monsoon between October and January brings rain to the east, north and ancient cities areas. Therefore the best time to visit Sri Lanka is during our winter, between December and March. This is the peak season for tourists on holiday to Sri Lanka. The shoulder seasons of April and September – November should be less busy. If you can't make the dates of our group departures, then take a private departure on dates to suit you, or we can create a Tailor Made holiday to Sri Lanka, especially for you and your family or friends.